"...an exciting psychological horror thriller as readers will wonder until the climax whether Laura suffers from psychoses or is there something or someone trying to push her over the edge of sanity....Karen E. Taylor provides a deep tale of a woman trying to regain her equilibrium..."
Modern Gothic Suspense from the Author of the Vampire Legacy series. Laura Wagner is a mess. Her addictions to alcohol and prescription drugs have cost her a marriage and the custody of her two daughters. She hits rock bottom when, driving drunk, she backs her car into another vehicle -- a police cruiser. But a stint in rehab and the affectionate interest of Officer Mike Gallagher, the very cop she collided with, give her a start on a new life. Making it one day at a time is hard enough, but Laura is hearing voices trying to convince her that she'd be better off dead. When someone is found dead in the basement, it becomes obvious that more than Laura's inner demons are haunting her and her house. But can Laura find the strength to stay sober and subdue the malevolent forces that threaten her and everyone she loves? Could anyone? 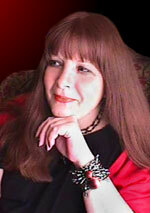 Karen E. Taylor is the author of seven previous novels (the Vampire Legacy series) and numerous short stories. 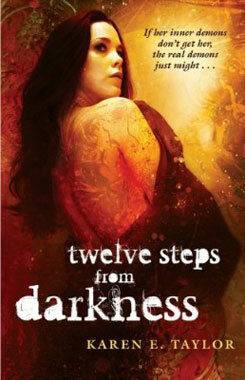 A collection of her stories, Fangs and Angel Wings, garnered her a Bram Stoker Award nomination. She currently resides in Los Angeles, CA with her husband, her two sons and assorted animals and is a founding member of the Persephone Writers Organization. www.karenetaylor.com. Visit Karen's Web site at www.karenetaylor.com.